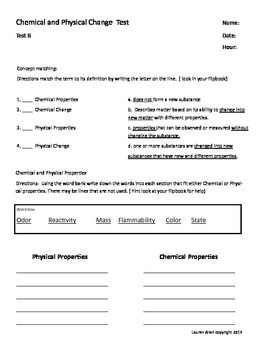 This assessment covers Chemical and Physical properties as well as change. It also covers the laws of conservation of mass and matter. 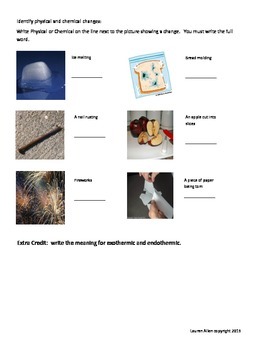 This assessment is written for students reading extremely below the 6th grade level. This would also be appropriate for ELL, ESL and some students with special needs.